Guns aren’t very complicated, yet somehow every rifle class starts with people trying to remember their zero settings, fumbling with slings and generally acting incompetently. That’s understandable, as we seldom get to carry or use rifles. With pistol, most people who actually get training are good enough to hit unmoving targets while the shooter is also stationary. Something as simple as wind flapping the paper becomes a challenge. Shooting on the move or at a partially obscured “foe” is harder yet. We aren’t as good as we think we are. That minimal skill level may be enough to win a defensive fight, provided the weapon is actually carried and is available when needed. I do notice that quite a few people bring a full size pistol to class but carry a subcompact or even a completely different type, such as a revolver. I also asked friends if they would feel comfortable betting $50 on a first shot hit against a stationary, harmless sheet of paper from a rapid draw, and very few would risk their money. Yet they are ok with risking their lives on carrying the gun with which they do not feel confident of winning a firefight. In Nashville, I can recommend two training schools: Agape Tactical and Condition-1. Many excellent schools exist elsewhere. Steve Fisher and Tatiana Whitlock are superb. I’ve learned useful skills from I.C.E. Training. Some even travel, like Tom and Lynn Givens. Greg Sullivan and friends at The Defensive Edge were good. I am probably leaving out many excellent schools and individual trainers — feel free to add your favorites. Training accomplishes two goals: it verifies that your equipment works, and it provides you with knowledge. Actual skills are the result of you training regularly to apply the knowledge you receive in class. 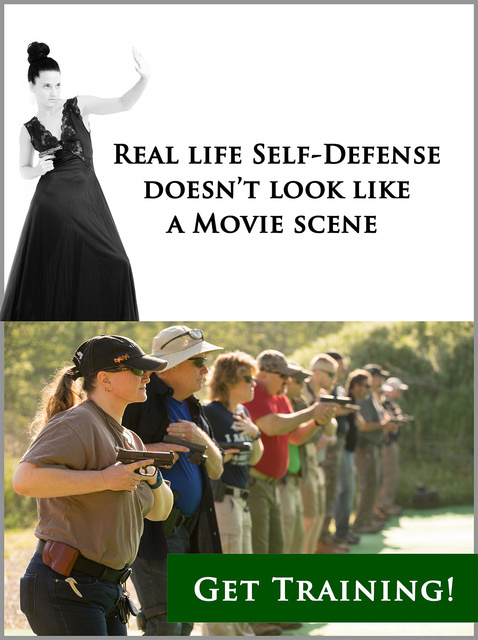 This entry was posted in pistol, self-defense, training. Bookmark the permalink. 1 Response to How perishable are skills? We tend to think we’re all “tactical” and stuff if we can shoot a series of stationary targets under perfect conditions in a controlled situation after doing a walk-through of the stage and watching several other people shoot the same stage. Sometimes it seems as though the object of shooting at a controlled range is to separate us as far as possible from reality. But then; how so you simulate surprise, unpreparedness, shock, trauma, horror and pandemonium under adverse conditions at a controlled range where safety, planning, organization and customer comfort come first? I would only add that if you haven’t hunted for a number of years you have no idea of the ways in which you can screw up, or in which the conditions will prove both you and your equipment ineffective. Really; no idea.